"This measure is absolutely much more drastic since it's not gradual but instead immediate, and it will affect the nearly 800,000 insured in the country," said Mario Arana, who was minister for development, head of the Treasury and president of Nicaragua's Central Bank during the 2001-2006 administration of Ortega's predecessor. "All sectors of the economy will be damaged," Arana said. 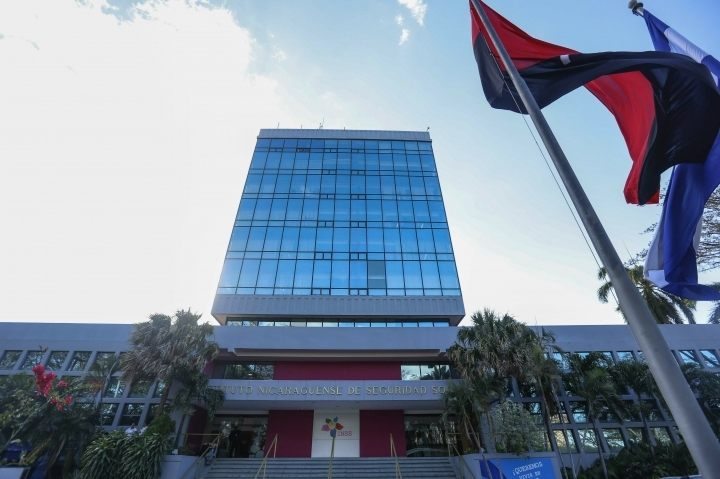 The social security package was approved in January by a legislature dominated by Ortega's allies and took effect Feb. 1. Businesses with over 50 employees will see their social security tax payments rise from 19 percent to 22.5 percent of pay while the tax on a worker's wages will go from 6.25 percent to 7 percent. The tax on independent workers increases from 18.25 percent to 22.25 percent of income. That has people like Mercedez Ramirez, who owns a beauty salon in the capital of Managua, worried. Over the last decade, she has already seen her clientele plummet and had to lay off two of her four stylists. Now she doesn't know if she can afford the social security taxes for the two who remain. "This situation can't go on," Ramirez said. "If I let my employees go I'll have to close my business and then ... what will we live on? My children are out of work." 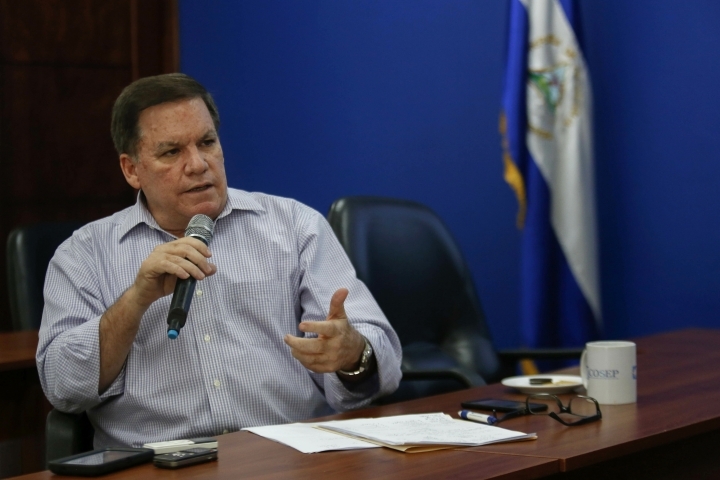 Gustavo Porras, an Ortega ally who heads congress, which begins a new session Tuesday, said the change aims to "guarantee payment of all pensions and the rights of workers that were won under this government." Enrique Saenz, an economist and former lawmaker who left Nicaragua months ago due to his opposition to Ortega, characterizes the crisis at the institute as a problem of Ortega's own creation, blaming "fiscal mismanagement, professional incompetence and irresponsible populism." The International Monetary Fund has been warning since 2017 that the agency's troubled finances threatened what had been relative stability in Nicaragua before the political crisis. The economy had been averaging annual GDP growth of about 4.5 percent since 2014. 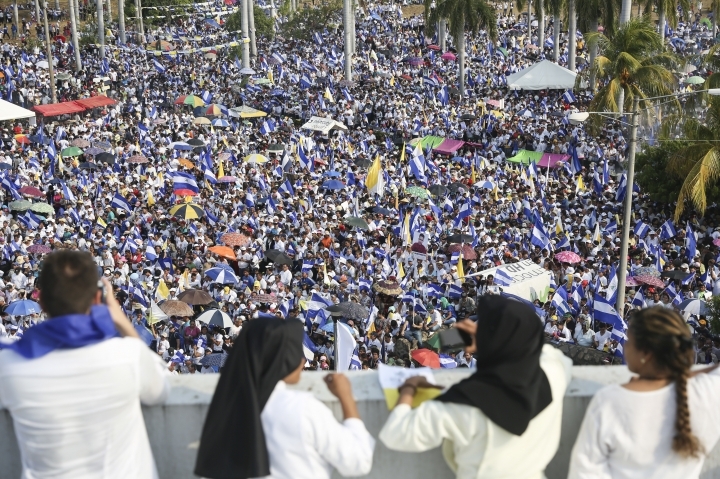 Despite the new tax increases, Nicaragua has not seen a repeat of last year's mass protests. 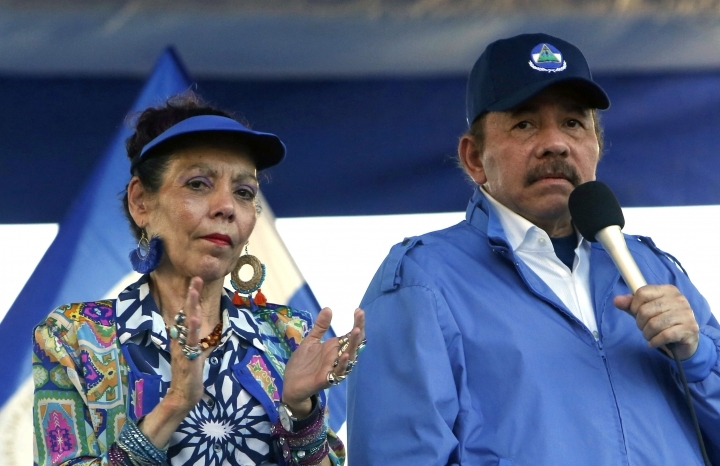 And it seems unlikely to, since Ortega, a 73-year-old ex-guerrilla who was first president from 1985 to 1990, forcefully quashed the challenge to his power, including effectively outlawing opposition demonstrations since September. 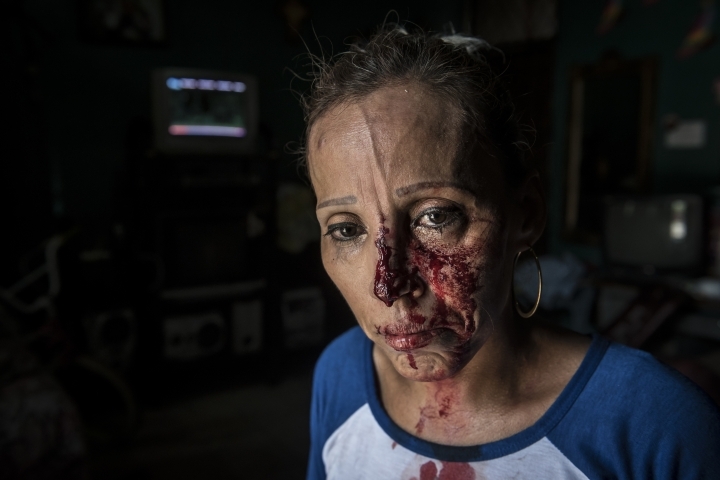 "We are not in the streets because there is a state of terror in Nicaragua, because there are police and shock troops that arrest you and beat you," said Ana Margarita Vijil, leader of the dissident Sandinista Renewal Movement, which the government accuses of promoting a "terrorist coup." Still, Vijil insists there will be protests because "this type of reforms ... only aggravate the crisis." The 2018 political crisis pummeled the Central American nation's economy, particularly tourism, commerce, infrastructure and investment. About 350,000 jobs were lost, including 160,000 that paid into the social security system, and the economy contracted 4 percent, according to World Bank figures. "Let us remember that the political cost of applying these reforms and provoking more unemployment will be on the hands of the government," Aguerri said Friday at a news conference. "I turn 60 this year and plan to retire in October, but under this law I will no longer get $400 in a monthly pension but just $280," said a private accountant who insisted on speaking anonymously for fear of reprisals.